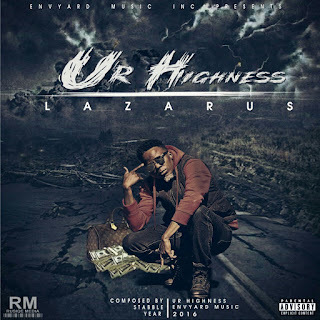 After dropping visuals for Vavengi, Ndai and Caught Up Ur Highness has dropped his comeback album Lazarus. Starting off with a skit by Power FM DJ Butterphly, who's known for being an avid Hip-Hop fan, diving into a three-track journey about love (which for my end they seem to be dedicated to his wife Duchess). The next session focuses on society with Type Dziye (which is about enjoying the good life) and Lazarus (which talks about rising again even after people may have written you off). The hustle section commences with Bag then Ndai. My favourite track off this album has to be the title track, with Roki showing that he's still got it on the hook. This is a rather short but enjoyable album that is filled with a lot of radio-friendly tracks, a little birdie told me a video for Bag, which features Takura is in the works.